Dan joined Altus Investment Group in 2018 to assist with investment research and portfolio design. He brings his considerable investment expertise to this position. 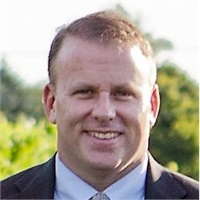 A faculty member at Northeastern University’s D’Amore-Mckim School of Business since 2007, Dan has taught courses in Fixed Income and Risk, Investments, Derivative Investments, Experiential Entrepreneurship and Personal Finance. He remains a part-time lecturer there. Dan earned a Bachelor of Science in Business Administration with a concentration in accounting from the University of New Hampshire. In addition, he earned a Masters of Business Administration from Babson College. Dan is also a Chartered Financial Analyst (CFA) charterholder. Dan and his wife, Amy, live in North Andover, Massachusetts with their two children.